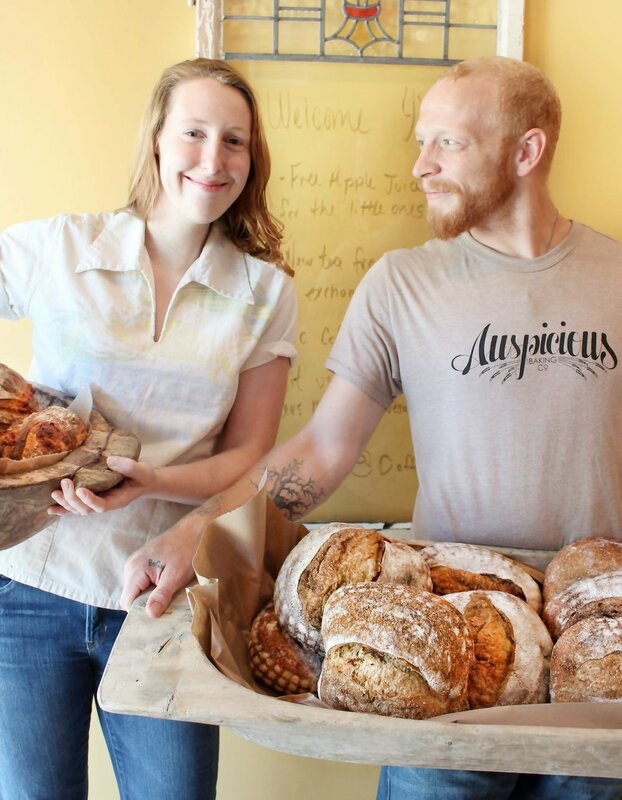 Our Story — Auspicious Baking Co.
Before founding Auspicious Baking Co., Katie and Mark entered the kitchen as teenagers, Katie learning the pastry ropes at a fine dining restaurant, Mark making breakfasts in a small café up north. After several years and countless bakes, the two stumbled upon Savannah on a road trip, fell head over heels for the city, and have been hurtling forward ever since. With a love of local food and the Savannah community, Katie and Mark have turned their hard work and passion into baguettes and rye loafs, homemade pop-tarts and fig & brie croissants, chocolate peanut butter crackers, and sheets and sheets (and sheets) of butter-stained recipes. A few more years and thousands of pastries later, Auspicious Baking Co. serves you, our neighbors, in the best ways we can think of. Our favorite part of the week? Loading our shelves in a flurry of pastry flakes and powdered sugar, and watching as the community files in and clears out the entire shop. We wouldn’t have things any other way.